Rosh Hashana designates the beginning of the Jewish new year, starting today — which according to the Jewish calendar began at sundown last night. 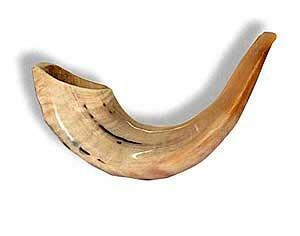 “Rosh” is Hebrew for “head” and Rosh Hashana refers to the head of the year on the 1st day of Tishri, the seventh month. Judaism has a solar/lunar calendar system, in which the lunar reckoning predominates. The first in the cycle of months is Nissan (which has nothing to do with the automobile manufacturer), the month in which Passover occurs. However, solar years are reckoned to begin at Rosh Hashana. The new year is heralded with the blowing of the shofar or ram’s horn by the “baal t’kiah” (meaning master of the shofar-blast). Some scholars have suggested (perhaps “speculated” would be a better word) that the Jews marked the beginning of the year at this time after the period of their Babylonian Captivity, in following with the Babylonian custom. Tradition recons this day to mark the anniversary of the creation of Adam and Eve. It marks the beginning of the Jewish High Holy Days or the Yamim Noraim, the “Days of Awe” when God is said to begin examining the record of each person’s actions during the preceding year; Jews are called upon to take an “accounting of the soul” with the aim of correcting defects in one’s behavior — the ultimate goal is to help “repair the universe.” The audit is considered to end on Yom Kippur, on the 10th day of Tishri, which we will examine next time. The Jews presently have at least two types of calendars using the same lunisolar calendar–a civil calendar which starts in the month of Tishri, and a religious calendar which starts in the month of Nisan. Would you believe that the Jews used two types of calendars before ? One is a purely lunar calendar with 12 lunar months numbered 1 to 12. The second is a lunisolar calendar which they adopted from the Babylonians during their exile that starts in the month of Tishri. In this calendar, a lunar month is inserted on the 3rd, 6th, 8th, 11th, 14th, 17th and 19th years in the 19-year Metonic Cycle to maintain the month falling in the correct season. The Jews merged the two calendars in AD 358/359 and came up with a form that is still used today. You may read the details of this in my website.